Today, around the country, students from Kindergarten through higher education are engaged in protests concerning gun violence. However one feels about the issues being debated, students assuming the rights and responsibilities of democratic citizenship in their communities is something to celebrate. What students are doing today is consistent with our nation’s recent and not so recent history of young people becoming engaged in their communities and learning the skills of citizenship and civic life. Let’s consider just a few examples. In Kansas, which has no age restriction on becoming governor, six teenagers are running for the position, and are running serious campaigns around issues. And their political persuasions run across the spectrum, a mix of conservatism, liberalism, and libertarianism. Being engaged in the issues, aware of the rules and requirements for office, and taking action to pursue change are not inherently conservative or liberal civic virtues. These young people are engaged in civic action in their state because they saw a need and decided to try and fill it. The Birmingham Children’s March involved more than 1000 kids skipping classes all across Birmingham and marching in favor of civil rights, despite threats and violence perpetrated by people far older than them. And they swore to continue doing it until change was on the horizon. They modeled for their fellow citizens the better angels of our nature and stood strong in the face of adult persecution and violation of their civil liberties. ‘Students do not shed their rights at the schoolhouse door.’ A legendary decision, arising as a result of 13 year olds protesting a war they saw as unjust. Indeed, the Tinker decision, and the actions of those students involved in that case, have in some ways inspired the movement today., with the Parkland students citing the Tinker case as something they learned about that helped show what can happen when students become civically engaged. Ongoing debates about controversial civic, political, and societal issues have always involved students, on both sides. Whether arguing and protesting over abortion, pointing out that there are is not uniformity among young people in the gun debate, wading knee deep into the disputes about busing students across northern cities like Boston to integrate schools, marching in the streets in defense of black lives and liberties, or taking sides for or against the Equal Rights Amendment, student civic activism is something that has always been an important pathway into civic life for young people. It is their first taste of the possibilities of civic life and fervor, and encouraging young people to engage with those possibilities can only strengthen the core of American democracy. Yesterday, Secretary of Education King spoke for quite awhile on civic education and its importance in helping students become the kinds of citizens they should be. We need to continue to be ever-vigilant to make sure that this right is not taken away. However, as I would tell my students when I was teaching, voting, as important as it is, is only one responsibility of citizenship. The strength of our democracy depends on all of us as Americans understanding our history and the Constitution and how the government works at every level. Becoming informed and thoughtful about local, state and national issues, getting involved in solving problems in our schools, communities, states and nationally. Recognizing that solutions to the complex issues our nation faces today all require compromise. Being willing to think beyond our own needs and wants and to embrace our obligations to the greater good. Here at the FJCC, we cannot stress enough how important it is that we as citizens understand that we need to do MORE than just vote, no matter your position on issues. In order to be the best citizen that you can you be, you must become involved and engaged within your community. Organizationally, the FJCC has brought on board an Action Civics Coordinator to begin the process of working with students, teachers, schools, and districts in a civics program that moves beyond just civic knowledge and towards a refinement of the other civic competencies that Secretary King stresses here. Today, all 50 states and the District of Columbia make some civics instruction a graduation requirement. Over the past couple of years, 14 states have also begun requiring students to pass a version of the citizenship exam to get a diploma. That could be a good start, but it is civics light. Knowing the first three words of the preamble to the Constitution, or being able to identify at least one branch of government, is worthwhile, but it’s not enough to equip people to carry out the duties of citizenship. Without a doubt, this emphasizes again the importance of skills in dispositions as well as knowledge in creating a well-rounded and engaged citizen! It also reinforces the concerns that some have raised about the value of the naturalization test as a measure of civic education and preparedness. And ask teachers and principals and superintendents to help your students learn to be problem solvers who can grapple with challenging issues such as how to improve their schools, homelessness, air and water pollution or the tensions between police and communities of color. It is also critical that these conversations not be partisan. Civic education and engagement is not a Democratic Party or a Republican Party issue. Solutions to problems can and should be rooted in different philosophies of government. We have to make sure classrooms welcome and celebrate these different perspectives. I recognize that this could lead to uncomfortable conversations and that teachers will need support and training to foster these conversations in productive ways. Principals will need to be courageous and back their teachers up. Superintendents and school boards will need to make sure their communities understand what they are trying to accomplish. This is so very important. Discussion of current events and controversial issues within a deliberative framework generally has a positive impact on student civic engagement and awareness of issues, as well as willingness to engage in problem solving. Recent work by Hess and McAvoy explore ways in which teachers and students in ideologically different communities approach this, and both the research and the suggestions can be quite beneficial as we contemplate how to safely approach difficult issues. So what are the elements of a robust and relevant civic education? First, students need knowledge. They need to know the Constitution and the legislative process. They also need to understand history. Our students ought to be truly familiar with the primary sources that have shaped our nation’s history, with the Declaration of Independence and the Constitution, with Sojourner Truth’s, “Ain’t I a Woman” speech, and Dr. King’s letter from a Birmingham jail, to name a few. But it’s not enough to be able to quote from these documents. They need to know why they remain relevant today. They need to be able to put themselves into other shoes and to appreciate the different perspectives that have shaped our nation’s history. Well, there is the need for civic knowledge. But is there anything else kids need in order to become the citizens this nation needs them to be? Beyond knowledge, students also need civic skills. They should be able to write persuasive letters to the editor, or to the mayor, or to a member of Congress, and learn to speak at public meetings. In addition, they should have opportunities to do democracy. 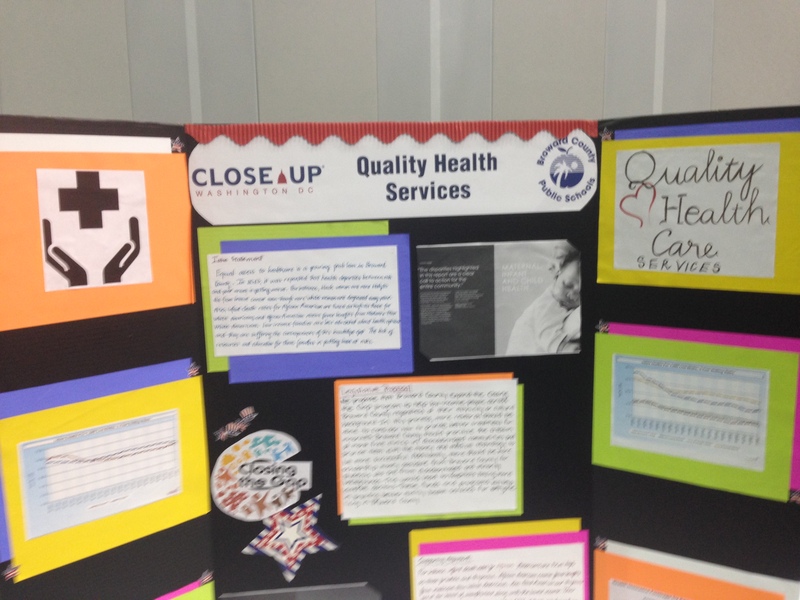 When I was teaching, I had my seniors do research projects tackling local problems in the community. I can recall students who worked with a local nonprofit to end the dumping of garbage in their neighborhood, to support urban agriculture projects, and to advocate for more affordable housing. Ah, there is is! Civic skills! They have to know what to DO with that knowledge! Is there anything else, Dr. King? We also want our students to learn to look beyond their own interests to their enlightened self interest in the common good. I recently visited Flint, Michigan, and while I may never live in Flint, I recognized it’s in my interest to make sure that children and families in Flint and every other city in the country have safe water to drink and an opportunity to fulfill their potential. Service both helps students understand the challenges in the community, helps them understand themselves and also helps them understand the importance of the common good. And THERE is is! We need to ensure that students develop those civic dispositions that help them make a difference for the common good! And remember, this is not a partisan issue. No matter the perspective, we want citizens to feel as though they CAN make a difference and that they have the ability to engage in the practice of citizenship! But the biggest and most important outcome of all is that high quality civic education prepares students to help the nation solve difficult, challenging, complex issues and make it a better, more equitable place to live with genuine opportunity for all. Civic education must be an essential part of a well-rounded education. It must be at the foundation of the future, not only of our economy but of our democracy. Our schools need to be about more than preparing kids for a job. They need to be about preparing them to be citizens. Another reason we should consider how the C3 Framework can shape our standards, our curriculum, and our instruction. It was such a pleasure to hear and see strong advocacy for civic education that goes beyond simple rote learning. As this current election season suggests, there is such a great need for building those civic competencies and considering our schools as more than just the place where we send our kids to the spend the day. You can take a look at the transcript of Dr. King’s remarks here. The Florida Joint Center for Citizenship is quite proud to be a member of Florida’s Partnership for Civic Learning. One of the most promising research projects that the Partnership has undertaken is to explore the role of classroom experience in student civic participation. In other words, are students more likely to engage in civic life if they learn about civics in a classroom with a variety of instructional practices? This is a question that we believe deserves an answer, as it can help districts, schools, teachers, and other stakeholders what quality civics instruction should look like. And it is such an important one for Florida and the nation. 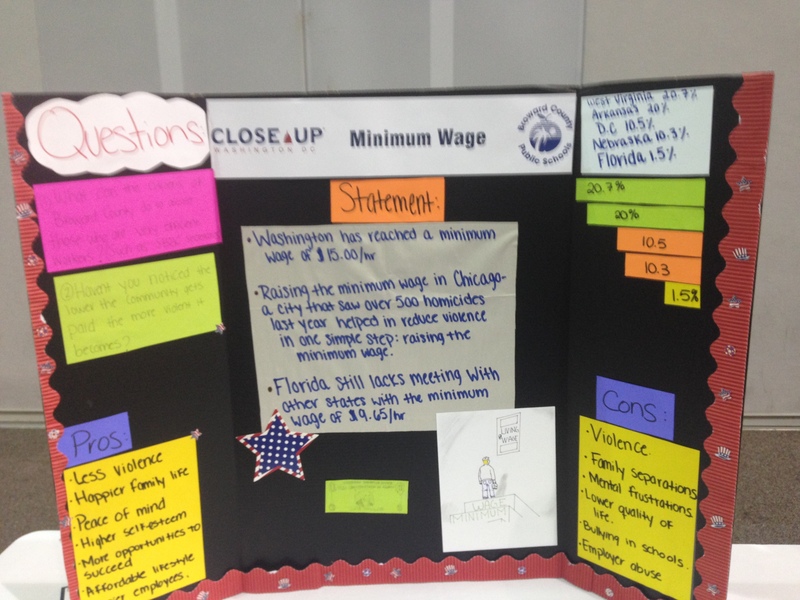 In the spring of 2015, the Lou Frey Institute administered the Civic Attitude and Engagement Survey to 7th grade students enrolled in Miami-Dade, Clay, and St. Lucie County schools here in Florida. 7,436 students in 75 middle schools across these three districts were surveyed. It should be pointed out here that a huge amount of the data sample was drawn from Miami-Dade schools, in part because of certain time and district issues. 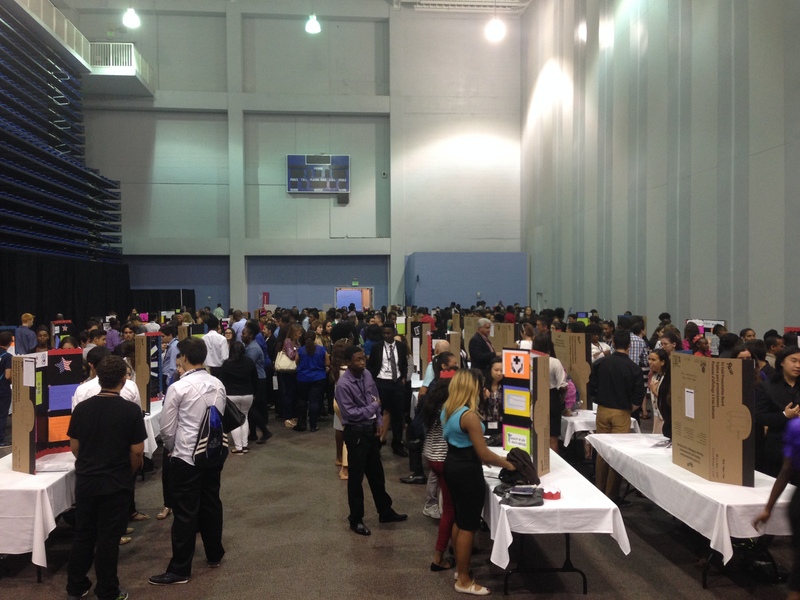 88% of the schools that took part were in Miami-Dade, 10.7% in Clay County, and 1.3% in St. Lucie County. We are grateful to all those that participated. The survey itself consisted of 20 items of question blocks that focused on a number of areas connected to civic attitudes, knowledge, dispositions, and engagement. 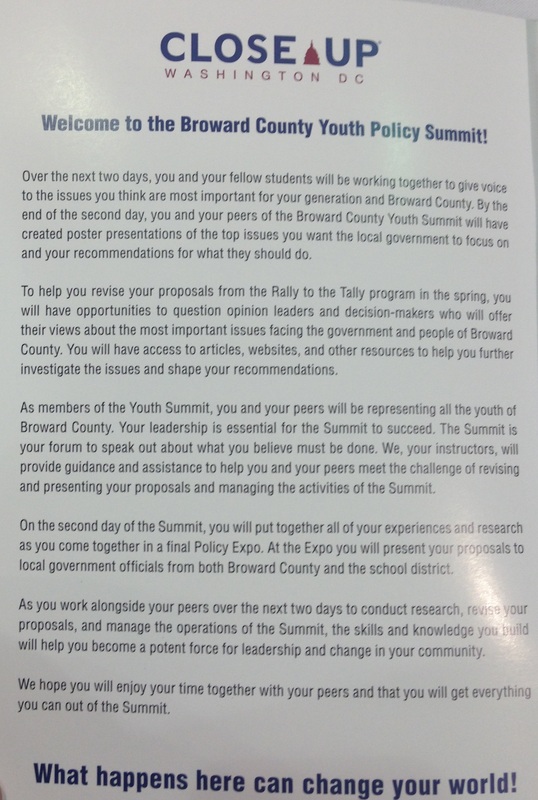 Ultimately, we want to provide districts with a tool that would connect completion of Florida’s 7th grade civics course to student (1) civic proficiency and readiness for future engagement as informed citizens; (2) commitment to democratic values and rights; (3) knowledge of current events; (4) efficacy/self-confidence about one’s ability to contribute to society; and (5) experience with recommended pedagogies for civics. We hope to expand the number of participants in this survey, and to provide this as a yearly examination of what is happening in civic education classrooms. So, what did this first offering of the survey find? Let’s take a look. This is, perhaps, no surprise. The more students are engaged in the practices of civic life through classroom instruction, the more they are likely to engage in the practices of civic life outside of the classroom. Of course, there are caveats that must be taken into account when considering this data. For example, it is highly unlikely that 10% of students are taking part in debates every day. I do not find it surprising however that 40% of students said that they NEVER engage in debate in the classroom, and that 58% of students never participate in a mock trial (though students in Florida are SUPPOSED to experience the jury process. See SS.7.C.2.3—Experience the responsibilities of citizens at the local, state, or federal levels) . In my experience, some teachers are uncomfortable with the structure of debates and simultations and the possibility that there could be controversial (and possibly job-threatening, especially in a state with no tenure) topics involved. And of course, there is the time factor! It is important to note having even one visitor from the community seemed to have a positive impact on broader civic engagement. This suggests to us that perhaps the FJCC should work on making that more possible (hint: we are). So, what sorts of activities did seem to have the greatest impact on promoting student engagement? Preliminary review and analysis of survey data suggests that, as mentioned above, having a visitor from the community come to a class was huge. These visitors, of course, should be connected in some way to civic life (perhaps a mayor, city manager, council member, school board member, elections supervisor, etc). Naturally, actually participating in some sort of civic project was huge, as students are more likely to continue engaging in civic life once they have been out in the community. Personally, I expected a greater correlation with playing civics-oriented games (in this case, likely to have been iCivics), but I suspect that some of that could depend on how the game is actually used in class, and how often it is used. This is an area for further research on our part. 1. Classroom Instruction: Schools should provide instruction in civics & government, history, economics, geography, law, and democracy. Formal instruction in these subjects increases civic knowledge and increases young people’s tendency to engage in civic and political activities over the long term. However, schools should avoid teaching only rote facts about dry procedures, which is unlikely to benefit students and may actually alienate them from civic engagement. 2. Discussion of Current Events and Controversial Issues: Schools should incorporate discussion of current local, national, and international issues and events in to the classroom, particularly those that young people view as important to their lives. When students have an opportunity to discuss current issues in a classroom setting, they tend to have a greater interest in civic life and politics as well as improved critical thinking and communication skills. 3. Service-Learning: Schools should design and implement programs that provide students with the opportunity to apply what they learn through performing community service that is linked to the formal curriculum and classroom instruction. 4. Extracurricular Activities: Schools should offer opportunities for young people to get involved in their schools or communities outside of the classroom. Studies show that students who participate in extracurricular activities in school remain more civically engaged then those who did not, even decades later. 5. School Governance: Schools should encourage meaningful student participation in school governance. Giving students more opportunities to participate in the management of their classrooms and schools builds their civic skills and attitudes. 6. Simulations of Democratic Processes: Schools should encourage students to participate in simulations of democratic processes and procedures. Evidence shows that simulations of voting, trials, legislative deliberation and democracy, leads to heightened civic/political knowledge and interest. As the chart suggests, engaging students in a greater number of school and classroom-oriented civic practice opportunities tends to encourage greater engagement. Is there a point at which we receive diminishing returns however? Do students who might otherwise fall on the low end of civic engagement suddenly jump to moderate or high levels if they take part in all six elements of the proven practices? Just how can we get a control group for this? No one wants to, not should they want to, provide future citizens with a lower quality civic education for the sake of further research. Nonetheless, this remains an area of inquiry that we need to further explore. So, what does it all mean. Basically, engaging students in civic practice, even to a low degree, encourages further participation within the broader community! Now, we must consider that all of this information we have discussed relies on self-reported student data, and the Lake Woebegon Effect should always be in the back of our minds. Still, there are promising methods which can encourage greater student engagement in civic life; teachers just need to do them, and curriculum should be written in such a way that we give students that opportunity. This is, certainly, a great deal to take in. The Partnership for Civic Learning is eager to continue this research and to see how these findings compare to data gathered from the next iteration and administration of the survey, especially outside the three districts that took part here. We are in the process of developing a brand new website that will share Partnership for Civic Learning research and projects, and this post will be updated to reflect where you can find this entire infographic, among other things. So, as you may recall, your intrepid blogger got called for jury duty this week. This was my first time being called in all my years, and I was excited to serve. It was, without a doubt, an interesting day, and it really was a wonderful experience seeing the process in action. That being said, however, there was a significant surprise and slight frustration to me, and I want to discuss what that might mean for our own work in civic education. Arriving at 8am, I was at the jury location until almost 7:30 at night. What was wonderful to see, in the two jury selection call ups that I ended up in, was that so many of my fellow citizens were so excited to be there. Consistently, I heard from them, as they were interrogated by the prosecution and defense counsel, that they believed it was their civic responsibility. And you know what, that made me incredibly happy to hear! Because, really, isn’t it more than just a responsibility? Shouldn’t we see it as a right? The right to serve our fellow citizens in the most important of tasks: the administration of justice? I actually made it ‘into the box’ at the end of the day, and it was engaging and interesting in being questioned about my own views on certain elements of justice, decision making, and the Constitution. Unfortunately, it was ultimately decided (after 7pm that night) that they would in fact select NONE of us for the jury. I admit that I was really not surprised at that point, because of something that I observed during the process: most of the folks that sat in that jury box with me did not really grasp the importance of the 5th Amendment. What do I mean by this? The most important element of that Fifth Amendment, for this discussion, is this one: nor shall [any person] be compelled in any criminal case to be a witness against himself. Unfortunately, when polled by the opposing counsels, the majority of potential jury members suggested that they would possibly be biased against the defendant if they did not testify. This is an understandable perspective, and a human one, really. We want to hear from those we are making a decision about. Our Constitution, however, expects that we will put aside that desire, that bias, and judge the case on the merits put forward by the prosecution, not the testimony of the defendant. As pointed out during the process, the burden of proof is NOT on the defense. Always, it is on the prosecution, and the defense is under no obligation to smooth the path for them. To me, this suggests that as civic educators, we may need to overcome what folks have picked up from Law and Order all these years: the idea that the defendant testimony is what will decide guilty or not guilty. We must ensure that our teachers, and our fellow citizens, emphasize and understand the meaning of the Fifth Amendment, and how it protects us all. No citizen should ever be faced with a jury that cannot make a decision, a fair decision, without hearing from the defendant. There are some good resources for teaching about this most important of amendments out there. Please note that while these are not necessarily aligned with the 7th grade Florida Civics Benchmarks, they remain good resources for instruction. Just, as always, be sure to adapt them to meet your own state standards or benchmarks! Three quality resources are below. The Five Parts of the Fifth: This, from North Carolina, introduces students to the 5 elements of the Fifth Amendment and engages them in acting out each of the rights therein. Pleading the Fifth: This, from the Law Related Education folks, is an in depth look at just what this phrase means. Dickerson V. United States (2000): This lesson, from the Bill of Rights Institute, explores the importance of that right to remain silent. I would LOVE to hear how you approach the Fifth Amendment with YOUR students! Of course, I also encourage you to check out the resources that we here at the Florida Joint Center for Citizenship have available, gratis! 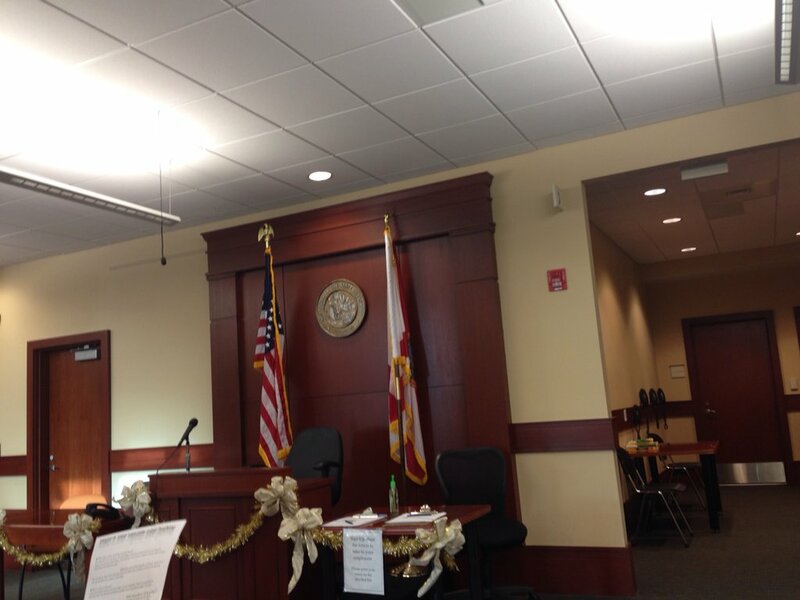 So today I have the distinct pleasure of sitting for jury duty. I say this without any snark whatsoever. This is actually my first time ever, in my now 42 years of life, being called for service. I am greatly excited. You have to think about it like this. If, God forbid, YOU were to face a jury trial, wouldn’t you want someone like YOU on the jury? Jury service matters. I find all of the jokes about getting out of jury duty, and the many ways in which people try to get out of it, to in many ways reflect the lack of civic feeling we seem to suffer from today. Of course there are plenty of valid reasons for not being able to serve, but we have to remember, ultimately, that our civic health and civic life as a nation relies on citizens fulfilling their obligations and embracing the importance of ensuring our fellow citizens enjoy the protections granted by our Constitution. And of course, if you are a Florida civics teacher, what better way to teach the benchmarks concerning our system and the responsibilities of citizens than to experience them! 7.C.2.2: Evaluate the obligations citizens have to obey laws, pay taxes, defend the nation, and serve on juries. 7.C.2.3: Experience the responsibilities of citizens at the local, state, or federal levels. 7.C.2.6: Simulate the trial process and the role of juries in the administration of justice. As you will recall from my last post, I was headed down to Broward County to see the great work being done there by the ESOL department within the district and by the Close Up Foundation. I am happy to say that it was a wonderful experience to see so many young immigrants dedicated to improving their communities and learning what it means to be a citizen. These 200 young people, almost all of whom have been in this country for three years or less, presented their civic-oriented proposals for feedback and discussion with local citizens, community leaders, and other interested parties. An overview of the expo can be seen below. What do I like about this? Where to start! It gives young people, new to this country a chance to engage in the process of civic life and civic work. It gets them thinking not only about problems, but about solutions. It develops their communication skills and their ability to talk with leaders and community members, such as district superintendent Robert Runcie, who can make a difference in their lives. No, let me revise that. It allows these kids to have a sense that THEY are making a difference THEMSELVES. Isn’t that what we want for our young people? That sense of belonging, of advocacy, and of efficacy as citizens? I had the great pleasure of talking with many of these kids about their proposals, and it was incredibly refreshing to hear them articulate a passion for change and a desire to make a difference as residents and, yes, as citizens. They addressed issues of concern to both them and their community, were open to feedback and suggestions to strengthen their proposals, and demonstrated an understanding of the difference they could make, and why this effort mattered. It was wonderful to see. In the rest of this post, you can take a look at just a few of the dozens of proposals that these young immigrants shared. How can we reduce testing in schools and still ensure kids are learning? Let’s make sure that everyone has access to quality health services! How can we make sure that schools have equitable access to resources? Let’s make sure that all able-bodied people can both work and support their families! It doesn’t have to be 15 dollars an hour to make a difference and help both business and the community! 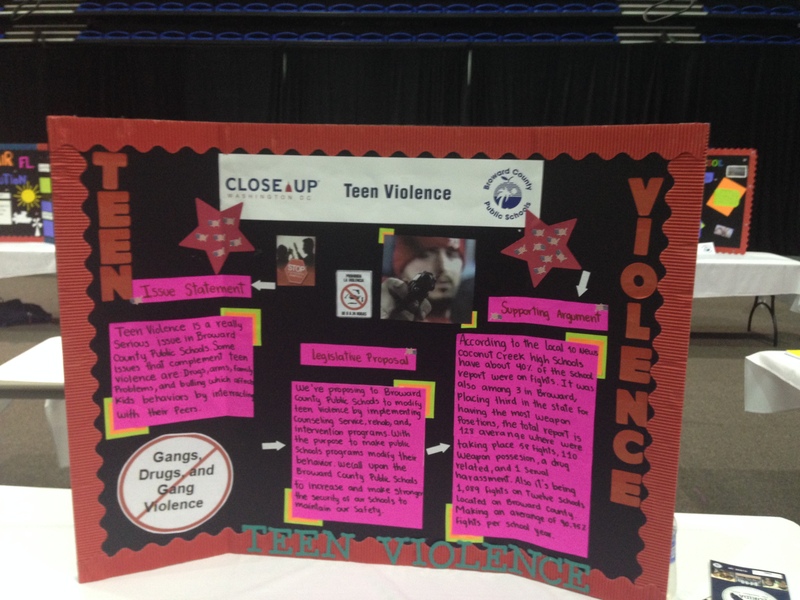 We need to address issues with teen violence in schools, especially in low SES areas! These are just a few of the many different policy proposals that these wonderful kids came up with. Others involved protection of the environment, changing the role of the school counselor away from a testing coordinator to actual counselling, medical marijuana, school bullying, teen pregnancy, and so many more areas of relevance and concern in the immigrant community, in Broward, in Florida, and in the nation. 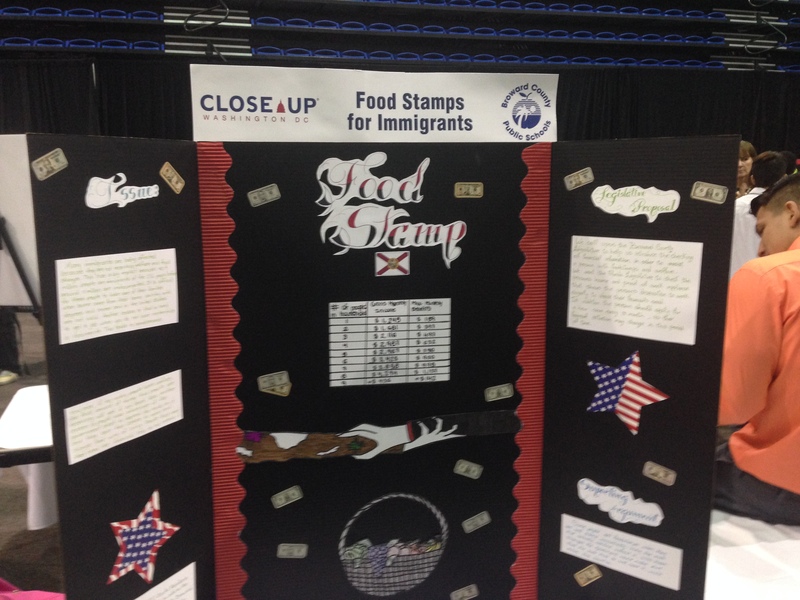 Kudos to both Broward ESOL and the Close Up Foundation in this work. 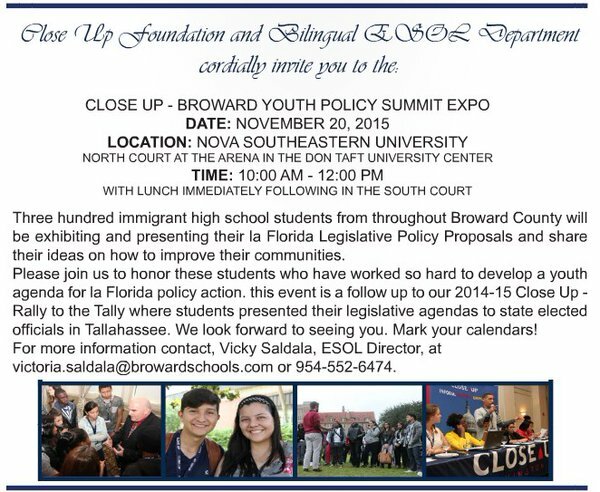 You can find additional images on the Expo at the Broward ESOL Facebook page, as well as through the Close Up Foundation’s Twitter feed (and they worth a follow!). I am excited to see what comes next, and I hope that we here at the Florida Joint Center for Citizenship might find ways to help in this effort down the road. So much promise! 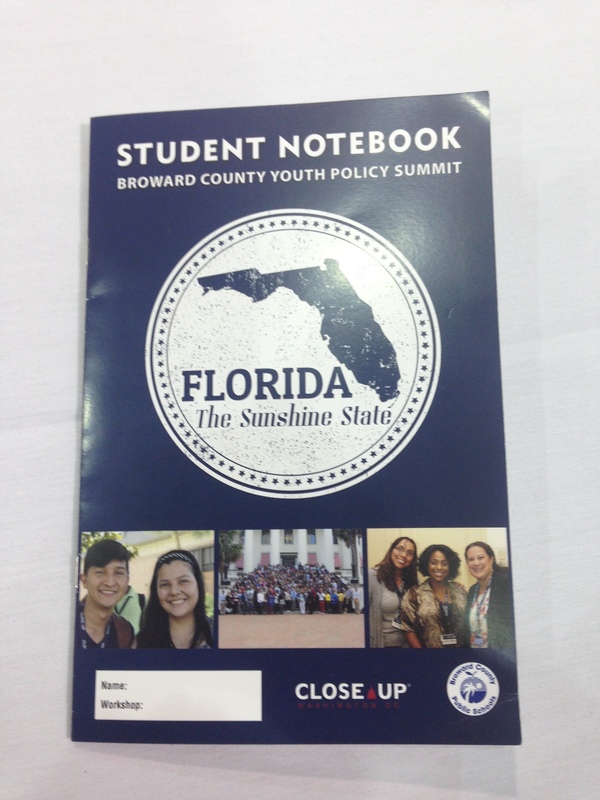 Close Up Broward Youth Policy Summit Expo! So this past week, I had the distinct pleasure of attending the Council of State Social Studies Specialists (CS4) meeting and the National Council for the Social Studies conference in New Orleans. While there, I had a great conversation with the good people from the Close Up Foundation. 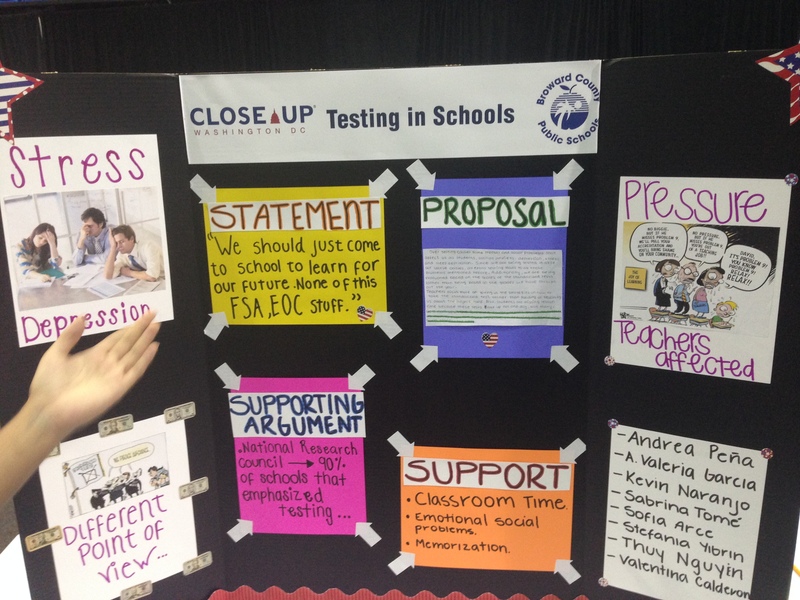 Close Up “informs, inspires, and empowers young people to exercise the rights and accept the responsibilities of citizens in a democracy.” And oh my goodness do they do a good job of it. 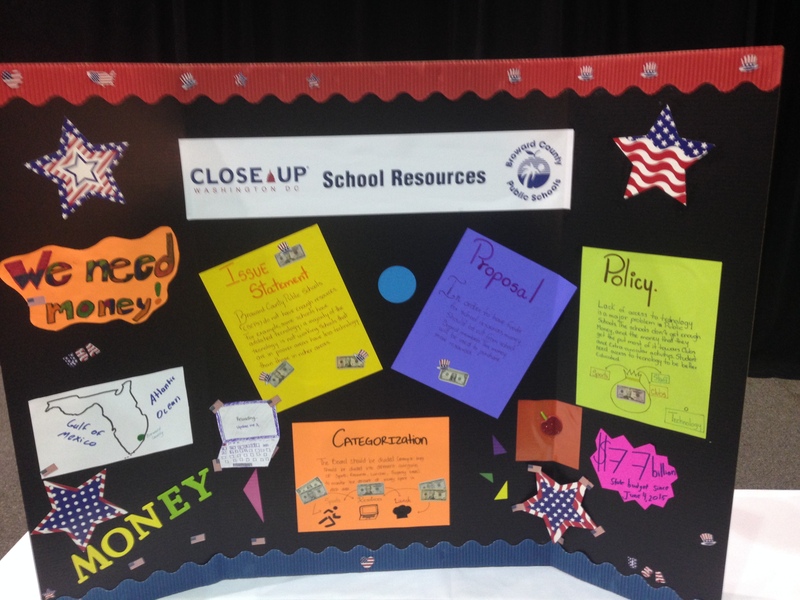 Last spring, Close Up worked with both educators and immigrant students in Broward to draft policy proposals and community improvement plans that could be shared in Tallahassee with our state leaders. An overview of their effort and their trip to the state capital is here, and worth a read! This Friday, these same students, their mentors, and the Close Up Foundation in Broward will be sharing their work with the community. Take a look at the invitation below. It is 10am to 12pm this Friday the 20th of November at Nova Southeastern. Specifics are in the graphic below. This is an incredible opportunity to hear from young people, future citizens all, who care about their communities, their state, and this nation of ours. Let’s stop complaining about a lack of engagement from young people; let’s show them we care and are proud of them. I look forward to attending this expo, and I hope that you, as a passionate civic educator, will be able to as well. I will be sure to do a follow up on what I saw and heard if you cannot make it! 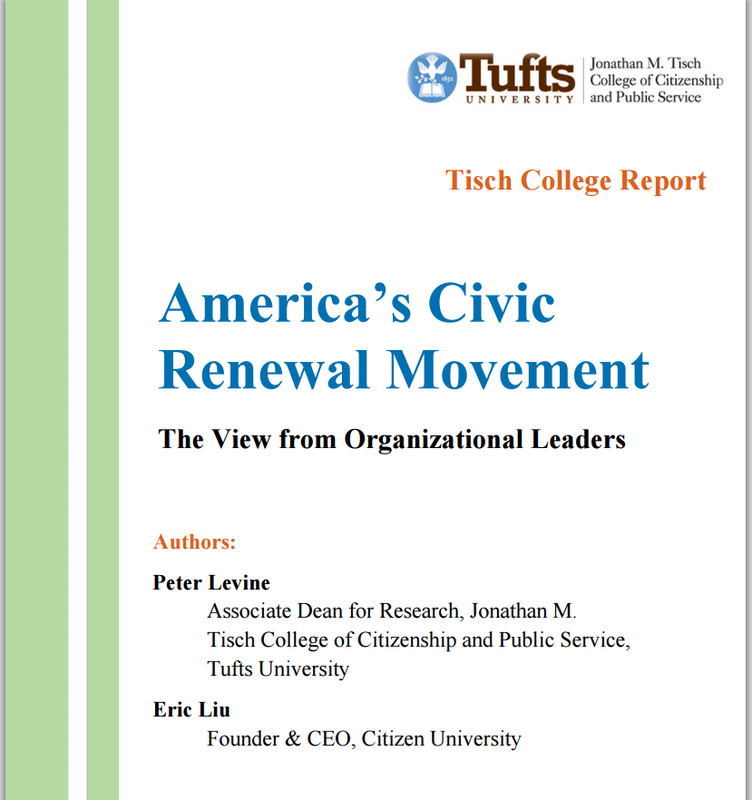 Recently, Peter Levine and Eric Liu issued a report on the Civic Renewal Movement, which seeks to re-energize and re-engage the public in participation within the civic life of this country. The report discusses the leadership of the movement, the perspective of citizens, and ways in which the movement can continue to grow and succeed. I encourage you to check out the report. Following this week’s webinar, I will be sharing my own thoughts, and look forward to hearing yours. You can read the report here. Did I mention a webinar? That’s right! There will be a webinar on Wednesday, 23 Sep at 2pm to discuss the report, featuring Peter Levine and Joan Blades of the National Coalition for Dialogue and Deliberation. It will be worth your time, and as a reminder, it is free and open to the public, but they do request that you register in advance! It will no doubt be as enlightening as the report. Friends in Civics, it gives me great pleasure this morning to turn over this platform to Dr. Shawn Healy. Dr. Healy is the Chair of the Illinois Civic Mission Coalition, and he was a key player on the citizen-driven team that worked hard to pass legislation concerning civic education in Illinois. He joins us today to share some of the sausage making and civic activism that it took to get the state legislature to add civics as a required course for high school students. Without further ado, then, I give you Dr. Shawn Healy. Please click below the fold to read his excellent post!